I am the Founding Editor of Underwater New York, a digital journal of stories, art and music inspired by real life objects found in the waterways around New York City, edited by myself, Nicole Haroutunian, Helen Georgas, and Nicole Miller. In 2009, I read an article in New York Magazine listing nearly 30 objects and phenomena beneath the waters around the city, things as specific as a Formica dinette standing upright at the bottom of the East River near 16th street and as ephemeral as the contours of a new current pattern; things pedestrian as toilet paper and predictable as dead bodies, inexplicable as a giraffe and singular as a grand piano. These seemed to me perfect points of entry for stories, and I sent the article out to a group of friends proposing a summer writing project. The idea took root and grew, and by the end of the summer, Nicole Haroutunian and Helen Georgas had joined me as co-editors of Underwater New York, which launched aboard The Lightship Frying Pan, a once-sunken ship-turned party boat in the Hudson. 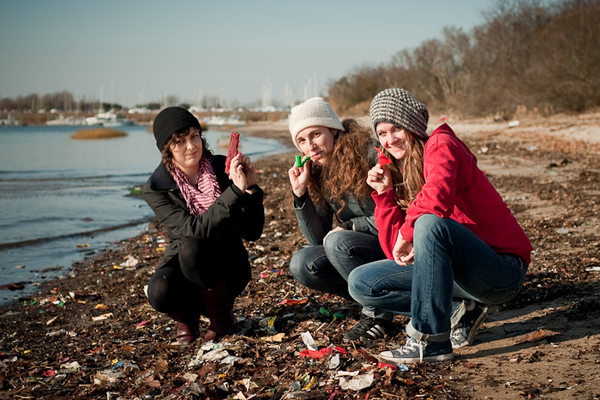 Since then, Helen, Nicole, Nicole and I have published the work of well over 100 artists, musicians, and writers, and built a list of found objects ranging from the whimsical to the historical, discovered by divers and scientists, detectives and engineers, environmentalists and everyday city-dwellers. We have held events, performances, parties or excursions in every borough of New York City (see my resume for a full list). Underwater New York is a living project, always interested in new work and collaborations. We accept submissions in any genre on a rolling basis. What interests us is work as inspired as the waters are littered, work that takes us somewhere, makes us laugh, moves or surprises us, unmoors us, makes us think. Artists have been drawing from New York City to do just that for as long as there have been artists and the city. Under the Hudson, the Harbor, East River, Arthur Kill - underwater everywhere - is another landscape entirely, every bit as gritty and urgent, as lonely and cluttered, as deadly, nonsequitous, singular and Siren as the City itself. Underwater New York has been featured in The New York Times, WFUV's Cityscape, Atlas Obscura, Brooklyn Ink, PopSugar, Jewcy and others, and our events have been selected by Time Out New York as a "Critics' Pick," by The Village Voice as a "Voice Choice," and mentioned in the New Yorker, New York Magazine, the New York Daily News, and WNYC. 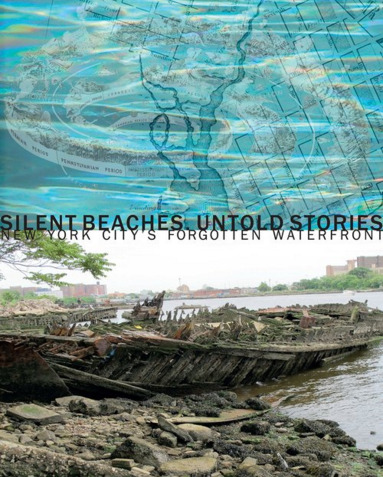 Underwater New York collaborated with visual artist Elizabeth Albert to publish SILENT BEACHES, UNTOLD STORIES: NEW YORK CITY'S FORGOTTEN WATERFRONT (Damiani, 2016).